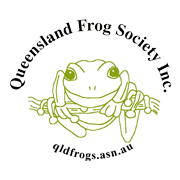 The Queensland Frog Society does not support keeping frogs or tadpoles in captivity, especially anything collected from the wild. We do however recognise the educational value of children raising tadpoles, as the transformation from tadpole to frog is truly an amazing process! It also helps develop an appreciation for wonders of the natural world. The Wildlife Management Regulation does allow the collection of a limited range of amphibians (frogs) from the wild without a licence, under a number of strict regulations or rules which we’ll outline below. Schools are not authorised to take or keep amphibians under this regulation. Schools are required to apply to the Department of Environment and Heritage Protection (EHP) for an Educational Purposes Permit (http://www.qld.gov.au/environment/plants-animals/wildlife-permits/science-education/). This permit allows for a school (or other educational facility) to take, keep and use amphibians from the wild, provided they are used for a genuine educational purpose. A genuine educational purpose would include educating students about frog conservation or biology including examining their growth and development. This permit is currently free of charge. The collection of amphibians falls under Section 50 of the Nature Conservation (Wildlife Management) Regulation 2006 which only applies to a person who does not hold a permit or authority authorising them to take, keep or use amphibians (such as a Recreational Wildlife Licence). The frog must be a Least Concern (formerly referred to as common) amphibian. All amphibians indigenous to Australia, other than those that are extinct in the wild, endangered, vulnerable or near threatened, are considered least concern. The ‘of concern’ species can be found by looking on the EHP website under threatened species (http://www.ehp.qld.gov.au/wildlife/threatened-species/index.html). If the frog is on this list then you cannot collect it. The person may catch and keep a least concern amphibian from their own property with-out a wildlife permit for taking and keeping the amphibian. The frog must be kept on the person’s property where it was collected and only for the person’s private enjoyment. The person CANNOT keep more than 8 least concern adult amphibians AND no more than 2 of the same species. Tadpoles are not included in this count. If the amphibians produce offspring, they must be released into the wild within 7 days of the tadpoles metamorphosing into frogs. Section 9 of the Code of Practice: Captive reptile and amphibian husbandry (http://www.ehp.qld.gov.au/licences-permits/plants-animals/recreational-use-animals/keeping_wildlife_for_recreational_purposes.html) provides some information on the way these captive bred frogs should be released into the wild to ensure they will not impact on wild populations. To reduce this impact the frogs should only be released at the point of capture or as near as possible in a healthy, disease-free state following the Code of Practice. Whether you have the required knowledge and skills to maintain the species in captivity. If the population of frogs on your property that you plan to collect from is secure with good numbers of animals so that you are not going to impact on the survival of that population. Whether you have an understanding of the existing threats to our native amphibians, such as the pathogenic fungus, Batrachochytrium dendrobatidis, also known as amphibian chytrid fungus. Anyone keeping frogs must be aware of this disease and its symptoms along with other threats to the survival of amphibians. The reason for collection and if there is an alternative. For example, would the introduced cane toad be a suitable substitute? No authority is required under the Nature Conservation Act 1992 to take, keep or use a cane toad as it is an introduced species. It is considered a significant pest but is not listed as a ‘declared pest’ (under the Queensland Land Protection (Pest and Stock Route Management) Act 2002), so there are no restrictions on their possession. The cane toad life cycle and development is identical to our native frogs so can be easily substituted to observe the metamorphosis from tadpole to adult. Generally speaking, it is best not to collect amphibians from their natural habitat, even on your own property but there is a legal way you can still keep frogs as pets. In Queensland, amphibians are also allowed to be kept under a Recreational Wildlife Licence. These animals must be obtained from appropriately licensed persons and not from the wild. Queensland pet shops that hold a Commercial Wildlife Licence are NOT permitted to trade in amphibians and it can be difficult to find authorised sellers and breeders in Queensland but they can be purchased from interstate making sure you fulfil all your Recreational Wildlife Licence requirements. For further information on all the permits and regulations, including the Recreational Wildlife Licence visit the EHP website – www.ehp.qld.gov. au/licences-permits/plants-animals/index.html.